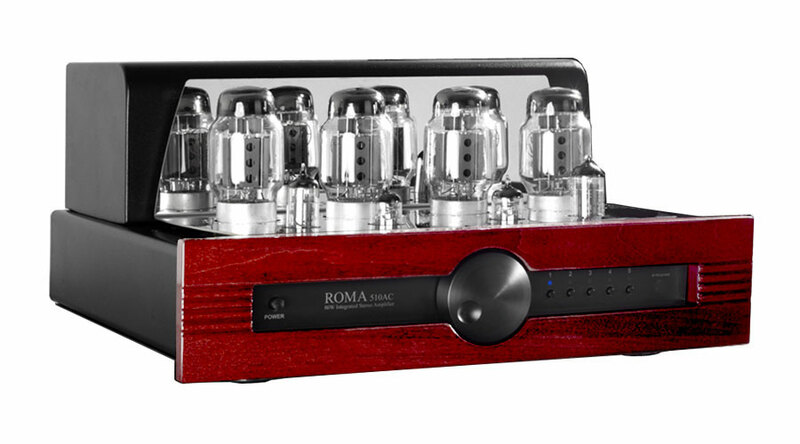 There has never been an introductory integrated amplifier with the fit, finish and sound of the ROMA 510AC. 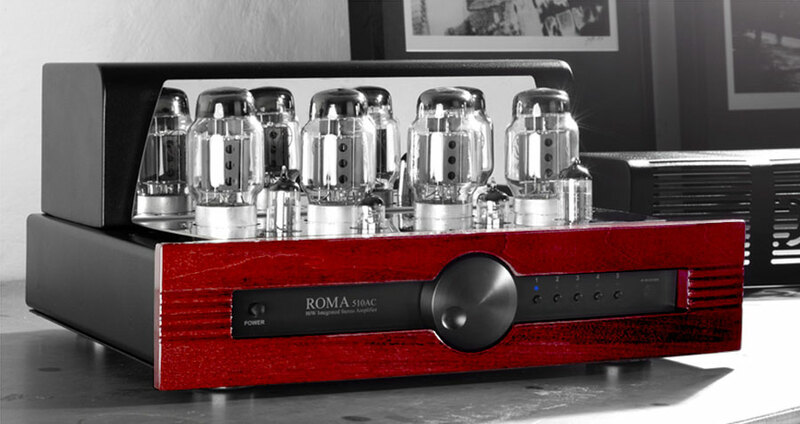 At first glance, this stunning amp simply takes your breath away. 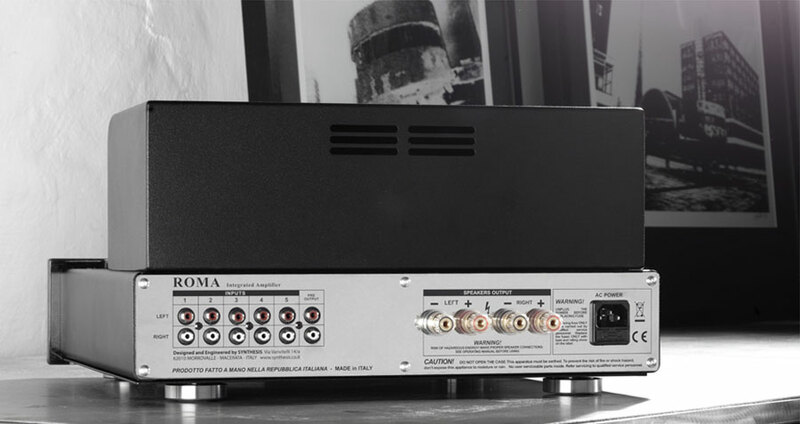 This high performance amplifiers brings out the best of other components in the system. Created by those obsessed with great sound and for those who love great music. The result is 80 watts of pure pentode output per channel built around a double triode 12AX7 on input and a 12BH7 tube as phase splitter and a pair of KT88/6550 power tubes in push-pull configuration for a detailed, delicate and dynamic sound. All tubes, except KT88/6550, have DC stabilised heater circuits to reduce hum noise to a near in-audible minimum. 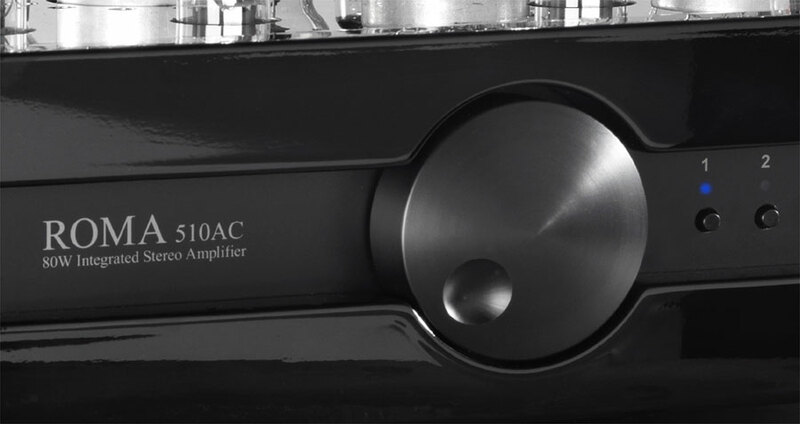 The Output transformer uses a Hi-Grade lron-Silicon for superb frequency reproduction & width. With this newly designed custom output transformer we are able to achieving a highly delicate & precise sound reproduction faithful to the originai recording. The power supply & output transformers are held by an extremely rigid structure that keeps the unit free from unwanted vibrations which further helps reduce unwanted noise to the tubes. It has a soft button design, perfectly matching the aesthetics for the "ROMA" series. It controls volume,mute and sources selection. Four aluminium feet with an insert of strong rubber. These rubber feet has been choise to minimise vibrations of the amplifier in isolation from its surroundings. Gold plated professional binding posts for a continued oxidisation free connection further improve sound refinement. Gold plated ceramic sockets for a continued oxidisation free connection further improve sound refinement. 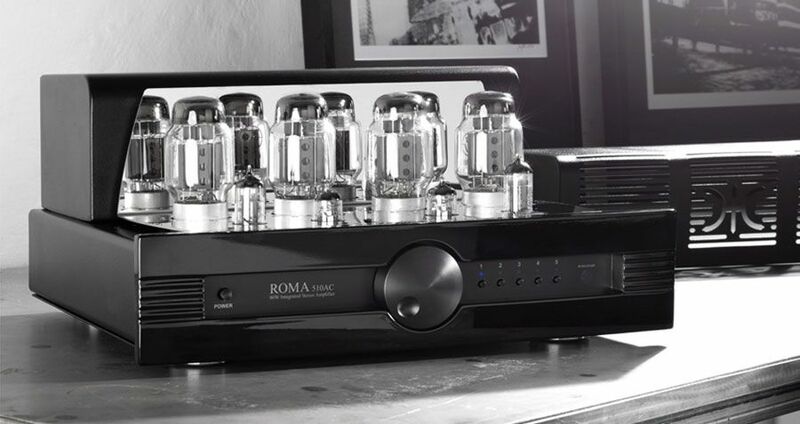 Components for the Roma 510AC have been selected with great care throughout. Only the best available components are considered & all must undergo an exhaustive analysis of their sonic influence prior to final selection. All tubes used are selected after 2 stage warm up. A fully computer monitored machine controls the process & at the end of this, selects the perfect tubes which are then matched for a perfect balance.